Looking for incredible food, pristine beaches and awesome diving? Get thee to Malaysia for all this and more - without the crowds. When you think of South East Asia you automatically think of countries such as Thailand and Vietnam, and that always upsets me a little bit. I mean, what about Malaysia? Malaysia is a backpacker’s and traveller’s dream. It’s got everything that you could possibly want - cracking cuisine, sensuous sights and wonderful weather to boot. There’s so much to see and do that you could easily spend three months travelling around the country (that’s what your visa allows – which is free I might add). But what makes Malaysia so magical? Easy. It’s got the culture without the tourists, giving a rarer and more unique experience than you’d find elsewhere in South East Asia. These days, a lot of travellers like to go to a place that they know they can travel around safely but still feel like they’re getting off the beaten track, and Malaysia does exactly that. Malaysia is a melting pot of cultures; you have the local Malays, a huge Chinese population, and a huge India population, so if it’s food you’re after then you’re going to be one happy camper. Little India in Kuala Lumpur has some of the most authentic Indian cooking that you’re going to find, and in the Cameroon Highlands I found a place that served some of the best tandoori chicken that I’ve ever had the pleasure of having (seriously, it was out of this world, and the great thing is is it only cost £3). But obviously you can’t just travel to a country just for the cuisine, which is lucky because Malaysia has plenty of sights and activities to back it up too. Most people start off in the capital city of Kuala Lumpur and it’s a buzz of activity. It’s easy to get caught up in it all and to get swept off your feet, and that’s what I love! Take the metro somewhere, anywhere, it doesn’t matter, and just walk around taking it all in. You’ll find you’ll keep on looking up at the sprawling skyscrapers and bumping into people; it’s fun, trust me. No trip to KL would be complete without climbing the Petronas Towers, but beware; they’re closed to the public on Mondays. From KL, Malaka and Penang are worth visiting for the cultural side of Malaysia, but I’m old school and I love my beaches. In the north west you’ve got Langkawi (a stones-throw away from the Thai border) and it’s a little jewel. There’s been a lot of hype around Langkawi recently because people are starting to realise just how beautiful it is. 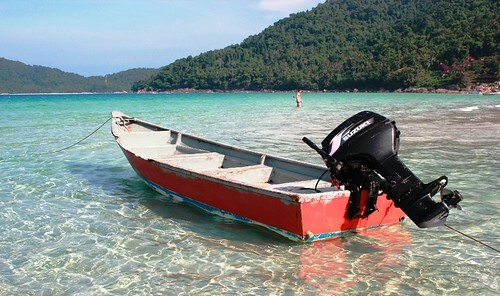 In the north east you’ve got the Perhentian Islands, which is the snorkelling and scuba diving Mecca of Malaysia. If you’re into either of these activities then you won’t want to look any further. The majority of dive shops are found on Long Beach on the smaller of the two islands (known as Palau Kecil). 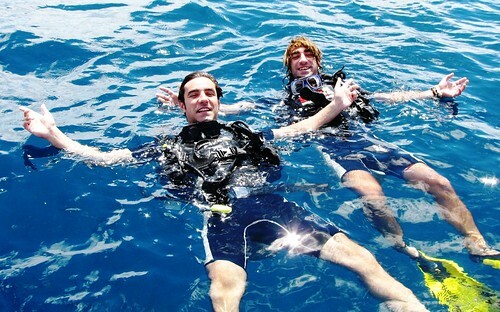 If I had to recommend one dive shop, it would have to be Panorama, but saying that, they’re all of an excellent standard. Other places that are worth a mention in Malaysia are Ipoh and the Cameroon Highlands. They’re only an hour apart and the latter is an old hill station from the former British Colonial rulers. If you’re heading to the Cameroon Highlands you have to have Boh tea from the tea plantations and a strawberry waffle. And lastly, that leaves Malaysian Borneo. If you really do want to get off the beaten track then this is the place to do it. The two states of Sabah and Sarawak and the least visited part of Malaysia but for those who do make the trip are met with a slower pace of life, a Malaysia of 10 years ago. 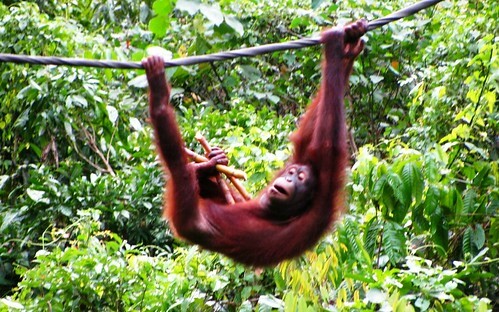 Oh, and they’re also met with images of orangutans everywhere! So that’s Malaysia in a blog post. The next time you’re thinking of travelling to South East Asia, forget about Thailand and Vietnam and travel to Malaysia - you won’t regret it. Discover Malaysia from just £789 with Flight Centre: from the powdery beaches of Langkawi, Penang and Redang to the sleek cityscapes of Kuala Lumpur. Keep the inspiration coming? 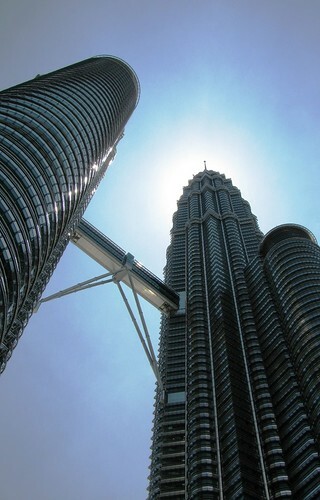 Check out our Malaysia board on Pinterest.